Allison has been with the firm more than five years and is an associate in the Vernon office, where she practices in the Probate, Estate Planning, and Real Estate departments. Allison grew up with an attorney father, who inspired her to follow in his footsteps of helping others. The most rewarding part of her job is assisting clients to ensure that their property and health care wishes are honored, and that their loved ones are provided for. 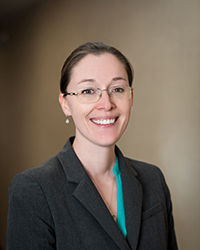 Allison is a member of the Tolland County Bar Association, the Connecticut Bar Association, the Estate and Business Planning Council of Hartford, and the Connecticut Financial Advisory Council. She is a graduate of St. Lawrence University and Western New England University School of Law.